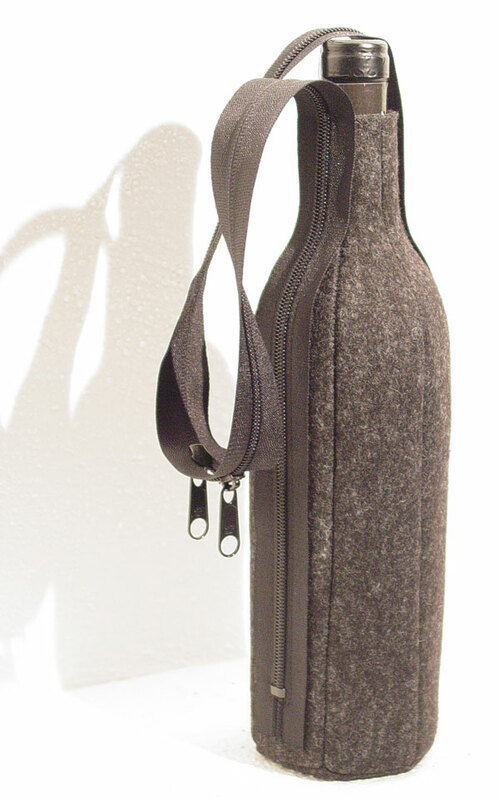 Illu Stration by Mary-Ann Williams, the “Queen of Felt” has a gorgeous wine bottle - handbag - insulator “tipsy bag”. 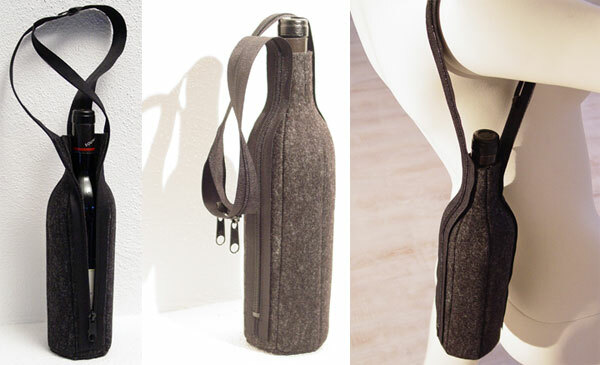 Its a nice detail how the zipper runs up the strap, and would make a nice hostess gift or a nice way to tote a bottle of wine around for that picnic, etc. I like the design and the cool zipper handle. But I am not convinced about the insulator factor of a felt wine bag. Wood felt keeps me warm in winter. I never use wool felt to keep me cool. Does someone try this product and if so, what do you think?